Tis the season for festive fun, parties, spending time with family and friends and trying to bring lots of light and spirit to a dark cold season. It’s also the season to produce more trash than ever! Between Thanksgiving and Christmas, Americans (and I’m sure this applies to other countries as well) contribute an astounding amount of trash to landfills. Specifically, during December, the US produces 1 million extra tons of waste than during the rest of the year. Between decorations, parties and of course gifts it doesn’t take long to see where all that garbage is coming from. We can all have an impact – especially if we collectively agree to choose a few areas to focus on. Cut down on your everyday and holiday garbage with these easy switches. Seriously, pick a few ideas to stick with and I hope you’ll be pleasantly surprised at how simple it is. I promise these choices won’t take away any holiday joy or interfere with family and community traditions. Choose decorations that have some staying power. It is so tempting to hit up the sales and nab a bunch of plastic and otherwise pretty disposable decorations to amp up the festive factor, but going for a less-is-more approach can still yield a stunning display. Ribbons, felt ball garland (buy on Etsy* or make your own), and even photo garland can easily adorn your Christmas tree or walls. If DIY just isn’t your thing, you can even find cute paper garland at stores like Target – check these out*. Choose ornaments made with natural materials like wood, glass, cotton/linen, or felt. These ornaments will last longer and if they do break, you can hopefully compost or recycle them easily. We all have different taste, budget and ideas about making our home festive, so stay true to yourself while you’re keeping these eco-friendly choices in mind. Every time you see a decoration or idea you like but it looks disposable, think about how you might be able to buy or make it with different materials (search Pinterest!). …and what about twinkle lights? While I don’t think there are any lights that will last forever, choose the best and most durable your budget allows. I trust The Sweethome’s recommended “best Christmas lights” list. Reusing decorations year after year is great, but another way to keep trash and environmental impact to a minimum is to use decor that can be composted when the season is done. In my area, Christmas trees are collected in the new year by local farms for goats to enjoy nibbling on long after all the holiday decorations have been taken down. Look to the produce section to create a pretty display of seasonal fruit (that you can eat or cook with later!) Set aside some crafty time to put together the classic popcorn and cranberry garland. Or go for something fragrant and beautiful with an orange and cinnamon garland. Make or buy festive cloth drawstring bags – or grab this super affordable pack of 12, use thrifted or vintage scarves or tea towels, or re-use paper gift bags from years past. Larger cloth bags are particularly great for weirdly-shaped items or oversized gifts. We have been trading bags back and forth in my family for years and no one has blinked an eye. You might have some wrapping paper hanging around so if you do feel like you need to use paper, use up what you have instead of buying more. Or use whatever paper might be destined for the recycling bin in your house – craft paper, magazine pages, kids art, etc. can wrap small gifts. Assuming not everyone in your friend or family circle is using zero-waste wrapping, grab as much as you can for reuse later and also designate a big cardboard box for recycling ripped paper. Wrapping paper is often recyclable and while you should check with your local waste management company, many are fine with tape being on as long as ribbons or other decorative doo-dads are removed. Hit up your farmer’s market or local supermarket for fresh, in-season produce. Buy ingredients for cakes, cookies and other holiday treats in bulk or loose bins at your local natural foods store. Just make sure you skip their provided plastic bags and bring your own cloth bags* or glass jars*. Same goes for candies – many ‘conventional’ grocery stores have bulk/loose bins of candy perfect for decorating your gingerbread house or gifting to family and friends. No need to buy in unnecessary packaging that will definitely end up in the landfill. Stash a few cloth bags in your purse or grocery tote and fill up! Or buy treats with compostable wrappers like these! Another option is to buy a large “bulk” bag of treats like this. The product-to-packaging ratio will still be low. But you may not want to have so much in the house! Consider splitting with family or friends. For those goodies that are hard to find without packaging, like Hanukkah gelt, consider making your own or buy from a local maker or the most ethical/eco-friendly company your budget allows. Lake Champlain Chocolates (a local business for me) offers relatively low-packaged gelt, though it doesn’t appear to be fair trade. Divine Chocolates offers fair trade, ethically sourced chocolate gelt in small bags, available online or at most health/specialty food stores. If you’re feeling motivated and excited about reducing your waste this holiday, take the extra step and check out local butchers and other food purveyors like bakeries to see if you can bring your own reusable containers when you pick up your goods. Click here for more of my tips on shopping zero waste. One word: growlers! In my area, most breweries, cidery’s (sp? is this a word) and even vineyards have refillable options. We even have a dedicated “Growler Garage” in my area – how cool is that?! A quick google search should tell you where you can pick up growlers for your holiday parties. You simply pay a small deposit, get your growler filled up with whatever you want and when it’s empty, you bring it back for another refill or you can get your deposit back. If you’re looking for something specific that you can’t find in a reusable container, look for larger sizes in glass and aluminum that can be recycled or reused. Watch out for pesky plastic can carriers, though. For example, in my area of Burlington, VT, black plastic is no longer recyclable. Change is possible so don’t despair – reach out nicely to your local brewer/etc. and let them know if you think their packaging can be more eco-friendly. The more consumers speak up, the better chance that companies will consider changing their policies. Support local businesses and makers AND reduce your waste by checking out local holiday markets and shops. It helps cut down on shipping and shipping materials, and you can typically avoid other excess packaging as well. I used to be worried that I’d spend more than I would online, but I’ve found that many small businesses tend to be able to keep up with good prices and I’ve always been happy with the quality of gifts I’ve gotten. Plus, if anything does go wrong a local maker or business owner is likely to go above and beyond to make you happy. Tip: If you are buying some presents or other holiday goodies online from small or big retailers, try to place as few orders as possible to cut down on shipping and materials. Bonus tip: Many UPS locations and independent shipping stores will take packaging that is in good condition for re-use! Just drop it off and someone else will get to use packaging that might otherwise go to the landfill. Keep your eyes open to “packageless” gifts (aka, those that are not overly and unnecessarily packaged in plastic) you think family and friends would love… you might be surprised at how many there are out there and stores large and small. From consumable foods to books and clothing, there are lots of great gifts for all ages and price points that are not housed in a shiny (and frustrating to remove) hard plastic clamshell. Pick up a gift card, gift certificate, tickets or even vouchers for classes for your family and friends. It’s a one-two punch of awesomeness. First, the person will gain a fun experience and second, they won’t be bringing home something they don’t necessarily want. I love picking out gifts for people but the truth is, they might know best what they want or need and gift certificates are a great way to make everyone happy. Buying something used or regifting can be a tricky idea to get behind, but once you start looking at the high quality items available in great or like new condition that aren’t being used by someone else, you might start to change your mind. I’ve found everything from sports gear and games, books and toys and of course clothing online and at local shops that are definitely great gifting quality. Do a bit of research on what’s available in your area – beyond “regular” thrift stores, there are likely higher-end consignment stores for clothing and accessories, sporting goods stores and more. Sometimes a store you frequent will have a secondhand or gently used section of their main business. On eBay in particular you can find cool vintage stuff, collectables and great quality gently used …anything (fill in the blank with what you want to buy!) Tip: make sure you select ‘Used’ on the sidebar when you’re searching on eBay to make sure you’re getting something previously owned and not simply a new item that is being re-sold. Bring your own bags with you everywhere, no excuses! Whether its the grocery store or the mall, you don’t need to take the shiny new bag. I’ve found that it can be easy to train ourselves to bring a bag to the farmers market or supermarket, but for some reason we accept bags at the clothing store, candle store or local boutique. Just say no to plastic bags and other bags from stores that will ultimately end up in the landfill … all for 2 minutes of helping you carry your item. I like the stowaway or foldable totes available from Baggu, ChicoBag and others for this purpose. Stash one or two in your purse, backpack or pocket and you’ll always be able to refuse bags wherever you go. Bonus step: Talk to family and friends! Share what you’re planning to do with family and friends. Let them know you won’t be using wrapping paper and instead you’re making reusable bags. Ask them if they want to participate! Worst case they’ll say “no” but you might still pique their interest. I’m a broken record on this point but I’ll say it again: aim for progress not perfection. If you normally wrap all of your presents in disposable paper and this year a handful are wrapped instead in reusable wrapping, that’s great. Next year make your goal even bigger. Steps add up – no matter how big or small! Take these ideas on the road! Easy-to-download checklist below. Save it to your phone or computer to reference later. Also check out my Zero Waste Holiday board on Pinterest for more ideas. 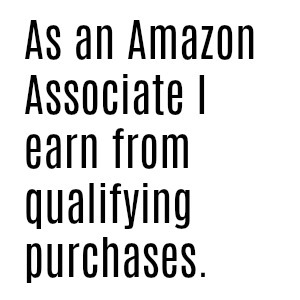 *Affiliate links are indicated with an asterisk. Your shopping experience doesn’t change, nor do I receive any (seriously, zilch) information about your visit to the linked site. If you buy something I recommend, I might get a small commission to help support this site. So, thanks! Lots of people order take out food during the busy shopping season. We ask them to leave out napkins, plastic cutlery, and single use packets when we are taking food home. I also only get take out from places that use paper to go products. This is such a good point Kim!! Thank you for the comment. It can take some trial and error but low waste takeout is definitely possible.